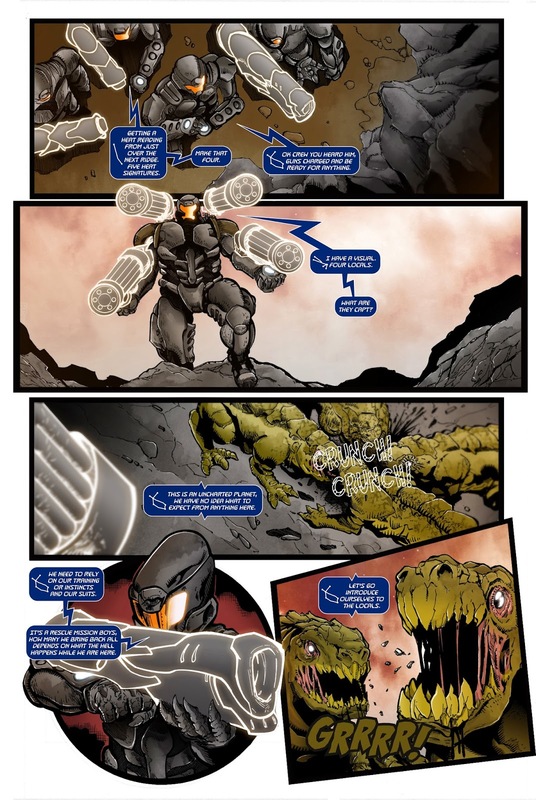 A few weeks ago I had the opportunity to read a few releases by Titanium Comics and was subsequently introduced to the work of comic book writer Kelly Bender. Intrigued by his work, I reached out to Kelly who pointed me to some of his other creations, including Convoy of Corpses. The reality of this story stuck with me and it really made me want to get to know more about the writer. So here you have it; an interview with a fresh and promising writer that has dedicated himself to the industry. When did you discover that the comic world was for you? I had an idea for a movie which was a modern-day political thriller and I tried to write it, and couldn’t get the “formula” for writing movies. I bought the software, took some lessons and couldn’t quite get it. So I started doing research on how comic books were written and made and it was like… wow! I get this. I can do this. That was just under a year ago this December. Surely you must have had some great comic influences. Who is your favourite writer? My favourite writer and illustrator is the same person. John Arne Sæterøy, better known by the pen name Jason. His most famous work is called “The Left bank gang”. I love his simplistic style and his storytelling. I will also say that Brian Azzarello is a huge influence, as is Brian K Vaugh. I am a product of reading comic books in the 90’s and VERTIGO was a huge influence on me and my thoughts and ideas of what comics could be. Which title was your favourite ongoing title that has led you to pursue this career? Favorite ongoing title by far was by the aforementioned Brian Azzarello “100 Bullets”. I love that series and re-read it every other month. Having read a few of your titles now, it is amazing to see how vastly different each one is. Which work do you treasure the most? I love them all. As each one represents a milestone or accomplishment in my life/career to me, as they are my “firsts”. Kind of like how a guy will remember someone as their “first kiss”, “first third base”, “first “you-know-what” and “first girlfriend” and so on. 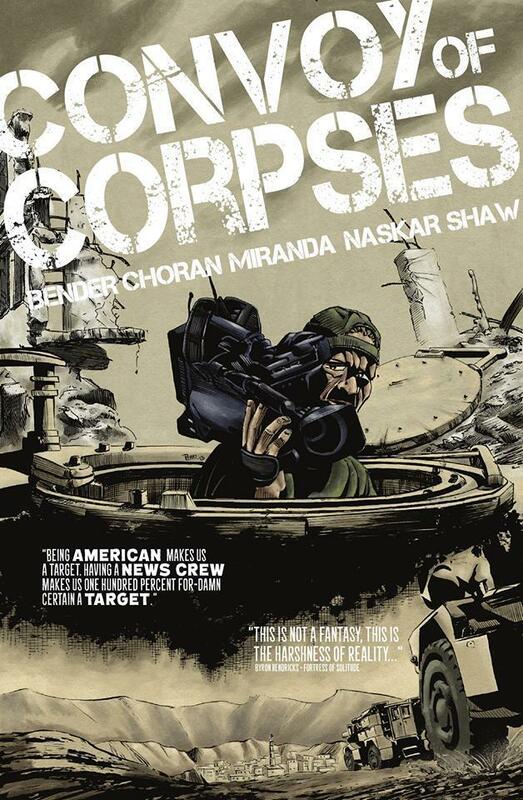 I really enjoyed “Convoy of Corpses”, the reality behind the issue seemed so authentic. Where did you draw inspiration from? Thank you for liking it. Now what I wrote was 100% pure fiction, but these things happen on this road. Not all the things in 1 trip, but they have been known to happen. I saw a CNN story on Afghanistan and it mentioned that road and some of the daily dangers that ALL drivers face, and it really hit me as an interesting story. I started doing research on it and it was even more intense and crazy than what the CNN story depicted. In fact, it’s even more scary and crazy than what I depicted, as there are some other dangers which I wasn’t able to get to in a 24-page story. 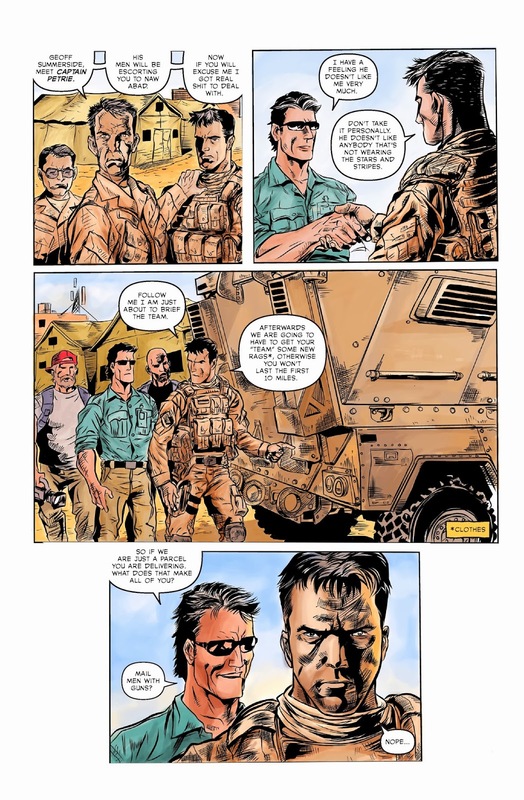 The detailed art in “Convoy of Corpses” was a great addition to this one-shot title. How did you go about choosing Andi Supriyono as your artist? I love his art and his attention to detail. He is amazing and such a diamond in the rough, so to speak. I found him via an art blog and immediately loved his stuff. We started talking and I told him I had this idea for a one-shot (complete story) comic book which I wanted to publish. He didn’t have any published work and we both thought this would be an incredible story to showcase our talents on. Actually, at the time, none of the creative team had any published work done except the letterer, and we all thought it was a great opportunity to get published work on our resumes. Since then you have joined Titanium Comics. How did you come to this decision? I knew a guy who worked for them and they inquired about me from him. Robert Turnbow (the Business Administrator of Titanium) contacted me and we got to talking and realized it was a great fit for both of us. It went from there. It was a no-brainer to work with them. They are an amazing company to work for/with. I love that they have a vision and a game plan and they stick to it. 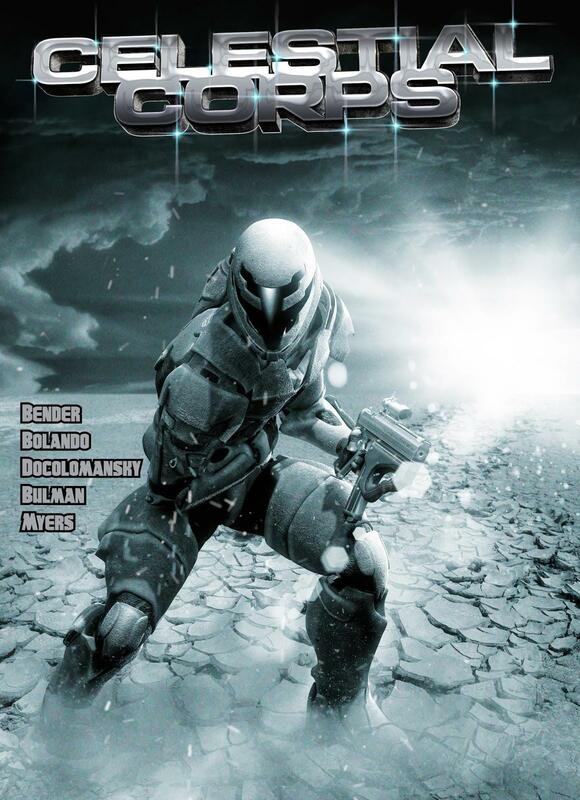 I have read Titanium Comics’ Age of Darkness #1, another enjoyable read. Tell us about the idea of zombie animals? My run on “Age of Darkness” starts at issue 2 and runs till issue 6 (and possibly beyond). The zombified deer was Joanna Estep’s idea. I love the ideas of Zombie animals also. I am infatuated with the Deer which appears in issue 1. (Spoiler: so much so in fact that he makes an appearance in a future issue). With Zombies being the trend at the moment, what makes Age of Darkness unique? What drew me to “Age of Darkness” is that it isn’t just a zombie story. It is an “end of mankind” story. So there are more threats than just “zombies”. Issue 2 (my first issue) really hits on that. There are multiple types of threats the team battles and none of them are zombies. Zombies are a legitimate threat to the team, but they are one of many threats. The world has been transformed into a monsters playground. Batman. I grew up in Canada in the 80’s and there were zero tall buildings around here, so swinging from buildings seemed impossible to me, and I already knew flying on your own was make-believe. But somebody being Batman was something that somebody could possibly attain to be. He will always be my favourite mainstream superhero. 11. Do you have any secret non-comic related hobbies? I love playing softball! I usually play on co-ed teams with my wife. We first met when she was asked to fill in for a missing player on the team I was playing on. We’ve played softball together ever since. A Zombie Great White sounds awesome to me but which animal would you want to see zombified most? Any animal bitten by a zombie could potentially be zombified. I can “leak” that in a future issue a bird of some sort is zombified and it shows up. I think that will be a very cool image as well! What is your favourite film based on the harsh reality of War? “Saving Private Ryan” by far! It was a war movie I saw that didn’t glorify war. It showed me the harsh reality of war. The two scenes which stood out for me the most was in the opening scene where that one soldier is walking around trying to find his blown off arm on the beach among the dead bodies. The other was the guy who let his friend die by the German because he was too scared to do anything about it. It was amazingly well done. I love “Full Metal Jacket” as well, but, wow, the scenes in “Saving Private Ryan” really stuck out to me. But it could be the age difference in the movies and the evolution of filmmaking which took place from when they premiered. How can people find out what you get up to within the comic world? I have a blog which has all my own “creator owned” stuff on it, which I am pitching to publishers or has been picked up already called: http://myimaginationshome.blogspot.ca/ and I am on twitter @KellyBender17.